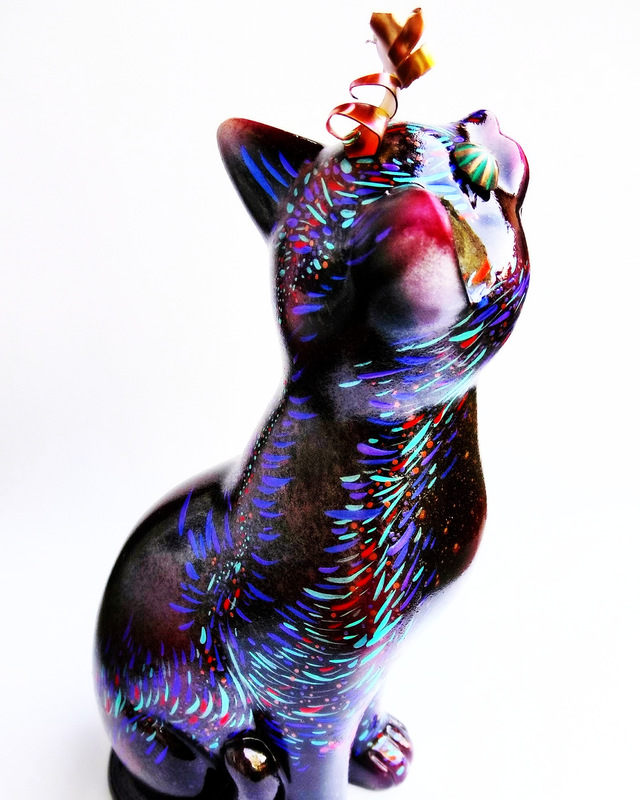 The Last Cat is in the Shop! 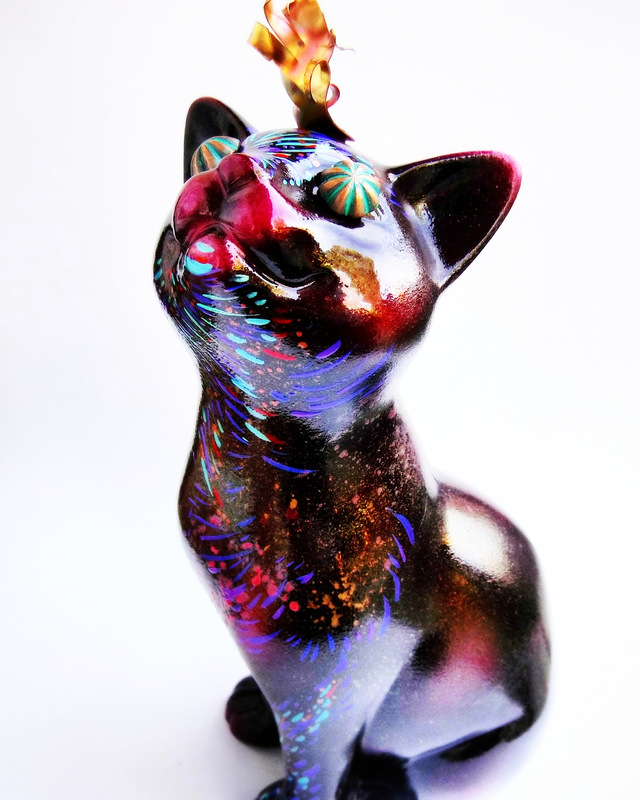 One of a kind hand painted resin metallic purple, plum and gold Cat, with splashes of aqua, metallic teal and red. Weathered copper green eyes and flamed metal curls on top of the head. It stands 9 inches tall, about 3.5 inches wide and 4 inches deep. This is a one of one. This figure comes signed and numbered on the stand. 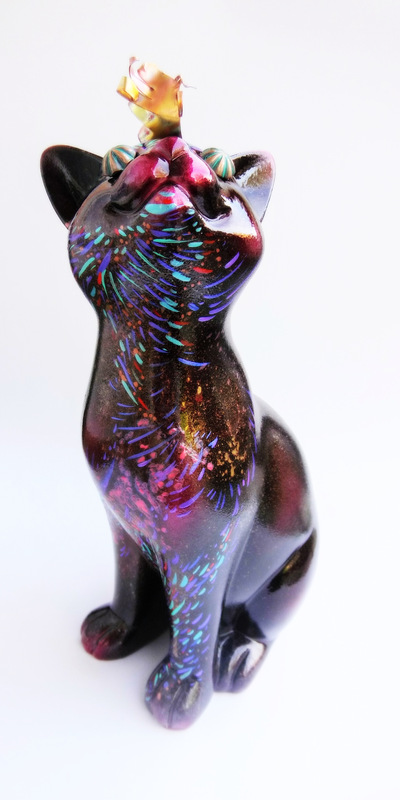 It is the third resin cat I’ve painted. In the toy shop now!